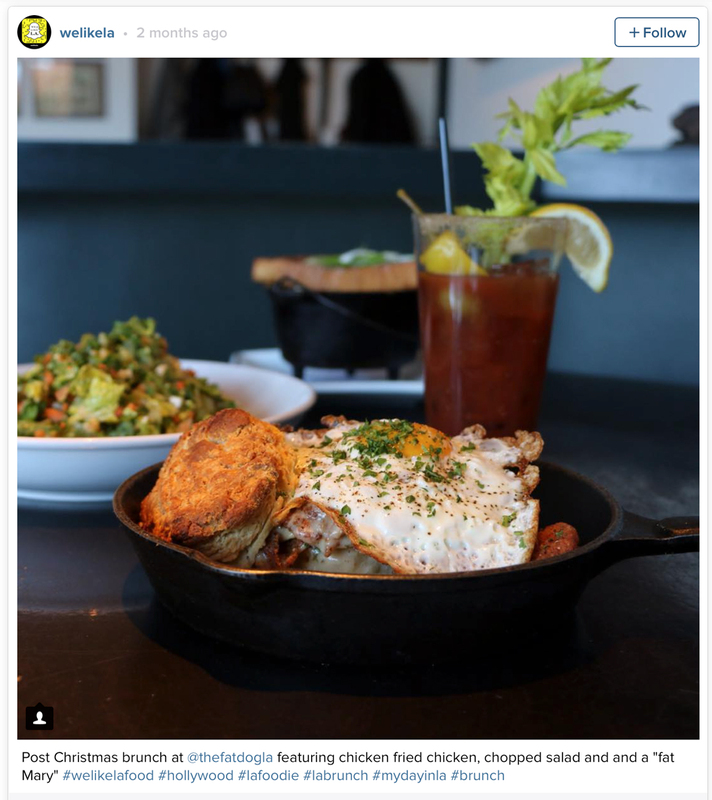 The Fat Dog serves brunch in two locations: North Hollywood and West Hollywood. Favorites off the menu include the “Chicken Fried Chicken” served with fresh biscuits and eggs smothered in a sausage gravy as well as a baked eggs with chorizo dish. If you like veggie burgers they also make an exceptional chickpea and brown rice patty that’s served with alfalfa sprouts, tomato, avocado & lemon herb aioli sandwiched between a brioche bun. Although both locations serve almost identical menus the NOHO location extends their menu to include blueberry ricotta pancakes and eggs two ways with breakfast potatoes and sausage. Oh, and don’t sleep on the $5 brunch cocktails either.